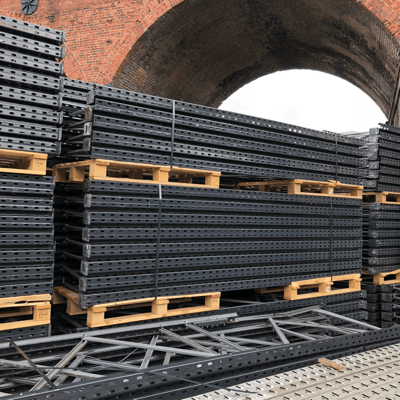 Now that we’re all back from our Summer holidays, we’ve definitely seen the number of enquiries for used pallet racking increase in the last week. Fortunately our stocks are good and we have a large range of warehouse racking and hand loaded shelving in a variety of sizes, duties and from all leading manufacturers (Dexion, Redirack, Apex, Link 51 etc). We also have timber and wire mesh decking, pallet support bars, column guards and barriers all available for quick dispatch. We always arrange delivery of pallet racking order on the earliest possible date and have full loads leaving our warehouse every day. However we have a few part loads leaving in the next couple of weeks, so if you are close to Manchester, Nottingham, Bristol or North London send us your requirements and we will try to accommodate you. 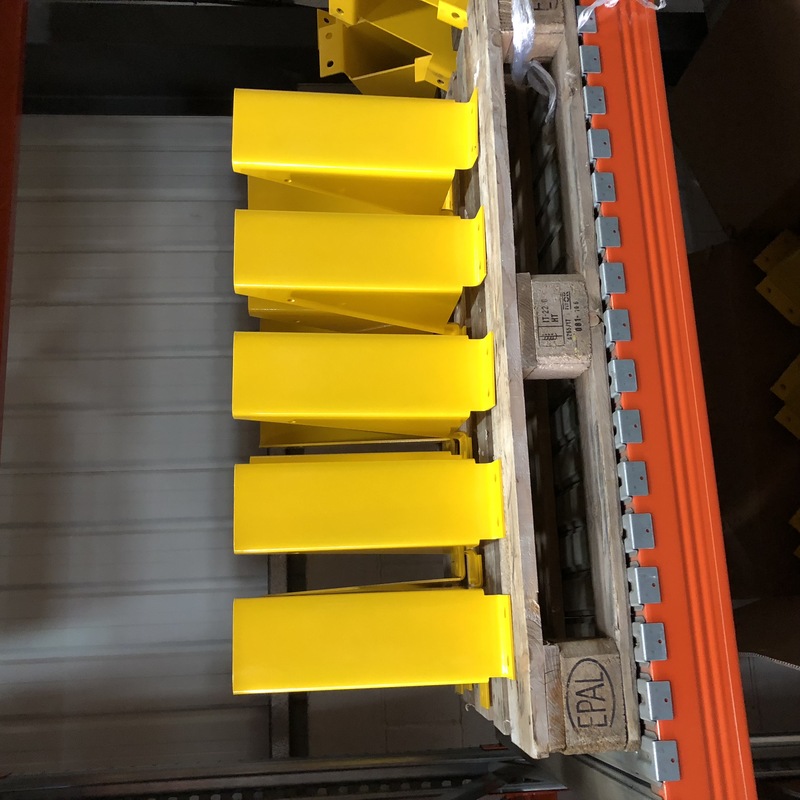 Leading manufacturers such as Dexion, Link 51, Apex and Redirack are always of interest to us but we will consider all racking systems if the quantity and condition is right. We will also take decking, column guards and pallet support bars. Our teams are taking down racking in Brighton, Hereford, Liverpool and Bradford in the next couple of weeks, so wherever you are in the UK we can help you to clear out your unwanted industrial racking. Please give us a call on 0800 612 3210 with as many details as you give us about the racking you have (quantities, sizes, manufacturer etc). We will also need you to send us some photos so that we can see the condition. Alternatively, send us some a message with our enquiry form and we will get back to you quickly. 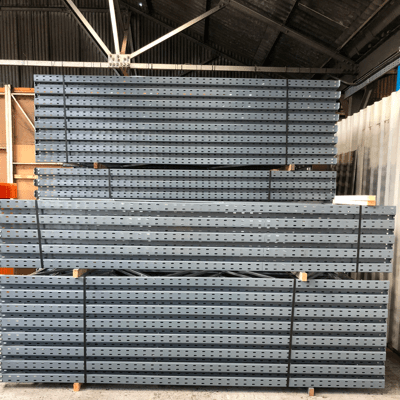 We have huge stocks of quality Link 51 used pallet racking available at the moment, in a wide range of sizes and duties. 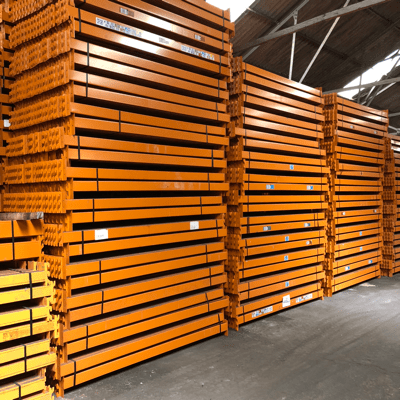 Whether you need a couple of bays with timber decking for heavy duty hand loaded shelving, or a full warehouse of multi-level pallet storage, we can give you a great delivered price. Our experienced team are ready to offer you all the assistance you need to make to most of your industrial racking storage. We can complete your Link 51 warehouse racking with column guards, load notices and pallet support bars, all available from stock. 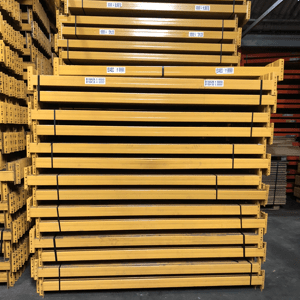 Of course, we also have large quantities of pallet racking from other manufacturers such as Dexion, Apex, PSS and Redirack in stock. We can deliver to any UK mainland address, from Bristol to Barrow and Dover to Dundee. We have recently taken delivery of several loads of quality used Link 51 pallet racking. 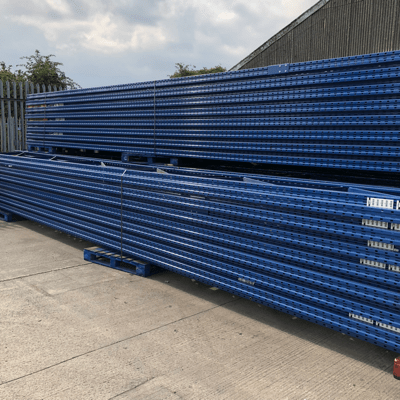 We have large quantities of beams at 2700mm x 2 tonnes UDL, 2250mm x 2 tonnes UDL and 2300mm x 2 tonnes UDL along with a number of other sizes and load capacities. All racking beams are supplied with 2 beam locks as standard. Upright frames are available at up to 9000mm high and in standard depths of 900mm and 1100mm. We can cut and brace frames to almost any height or depth and dispatch them assembled and with footplates attached. To complete your industrial racking, we can also supply timber decking, pallet support bars and column guards. Call us now on 0800 612 3210 to let us know what you need, or send an enquiry form and we will get back to you quickly.